Project: Two large windows in a master bedroom. 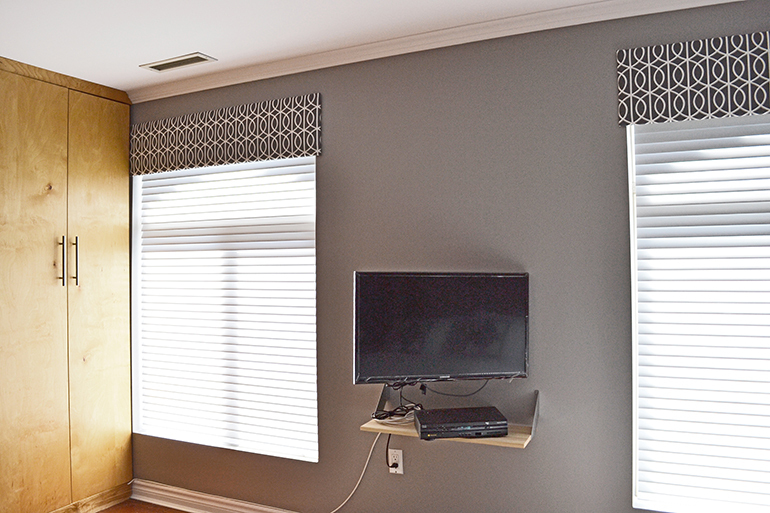 This client needed to be able to block out the light completely in order to sleep and also wanted them to look nice. 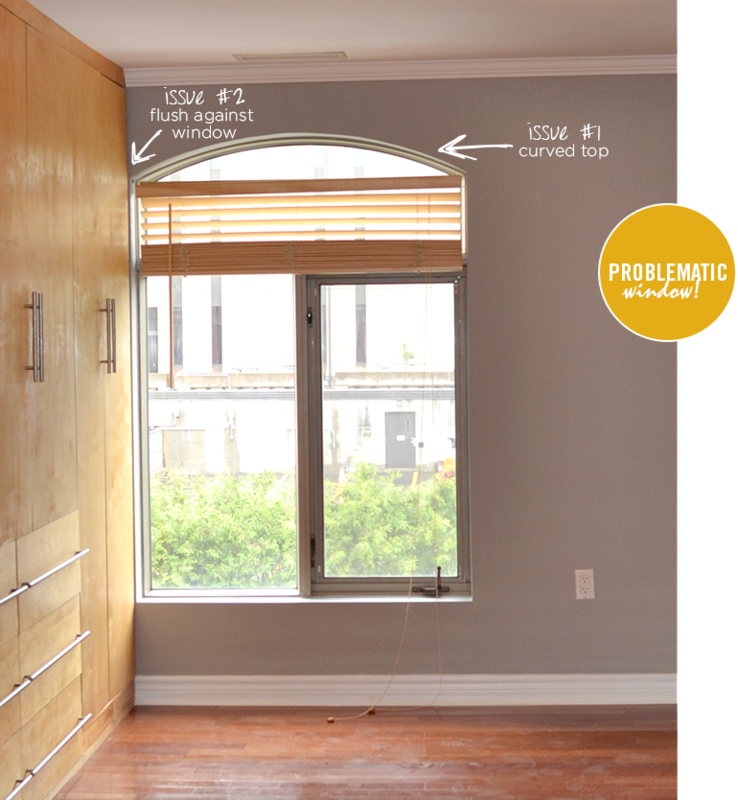 Issue #1 – The top of the window is curved so common window coverings would not fit in the space to keep the light out. Issue #2 – Built-ins were done flush with the window not leaving any room to install typical window treatments such as as rod with drapes or a box valance. A custom made flat panel valance! This easy DIY is both decorative and funtional. 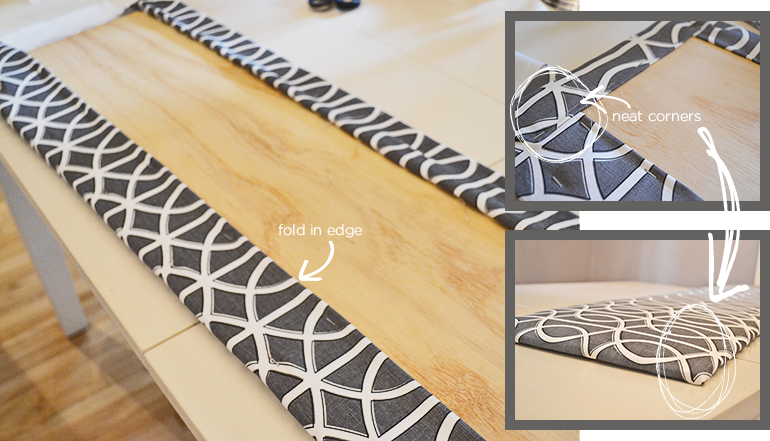 A flat valance can be made with just a few simple tools; scissors, spray glue, staple gun. You will also need plywood, batting, staples and fabric. It’s important to carefully finish even the back side of the valance. Although it doesn’t show, a neat and properly finished backside is less likely to tear and if the fabric is flat will also make mounting to the wall much easier.